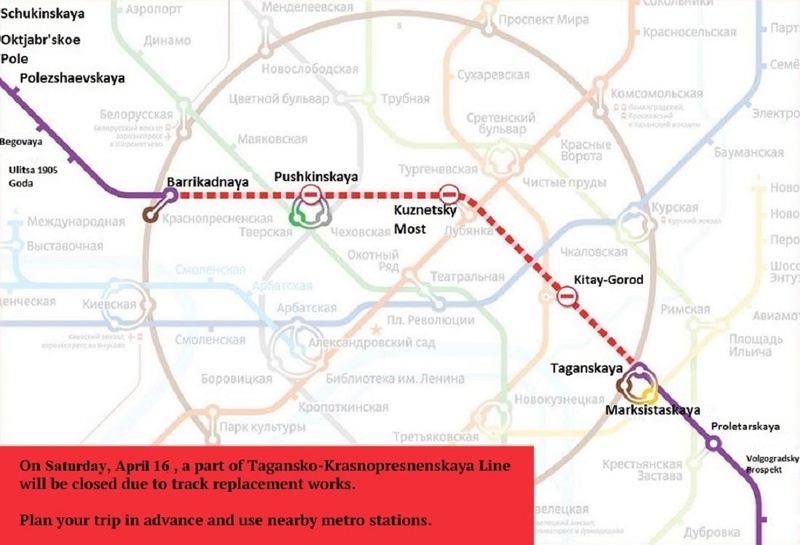 There will be temporary restrictions on the southern section of the orange (Kaluzhsko-Rizhskaya line) of the Moscow Metro due to unscheduled maintenance work until March 11. 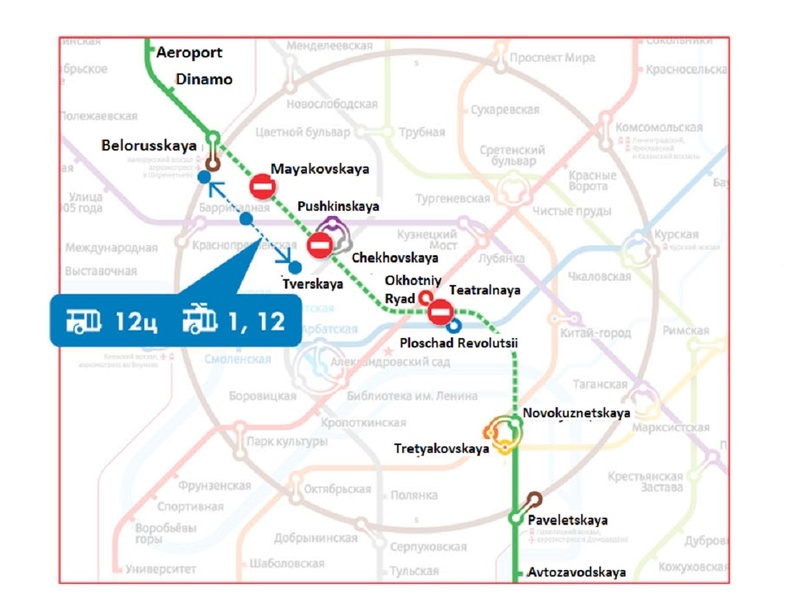 Thus, trains will run at larger intervals (3-4 minutes) from Octyabrskaya to Belyayevo stations. Academicheskaya and Shabolovskaya stations will be closed on entry and exit of passengers from 07:00 to 21:00. Passengers will not be able to use Novoyasenevskaya and Yasenevo stations to go to the center. It is possible to use Butovskaya line with a change at the Serpukhovsko-Timiryazevskaya line instead. There will be restrictions on the entry of passengers at all stations from Tepliy Stan to Leninsky Prospect stations from 06:00 to 21:00. The exit of passengers will be carried out as usual. Passengers are advised to use the nearby station Sokolniki, Serpukhovsko-Timiryazevskaya and Butovskaya lines, as well as the compensation M bus with stops at the open subway stations to avoid overcrowding in the metro. – Free shuttle bus route M will move from Tepliy Stan to Oktyabrskaya station. 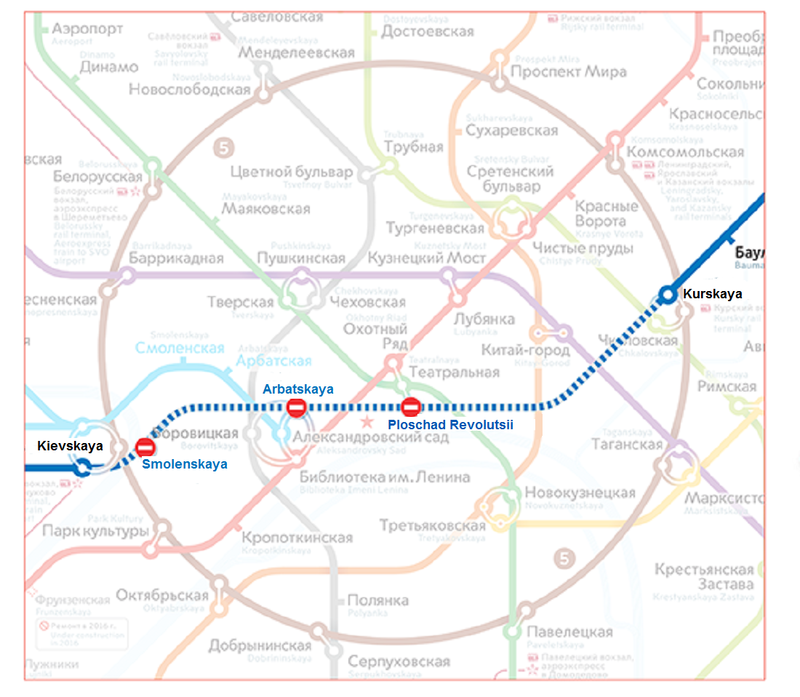 You will find detailed information at the official site of the Moscow Metro (only in Russian).